Now that I’m a wannabe minimalist, I’ve been politely asking friends and family not to give me gifts because these days I prefer to collect experiences and not things. However, rules were made to be broken (especially ones that I make up myself) and I am happy to accept a gift if I think it will add value to my life. I don’t know how or why, but in her latter years my mum developed a love of sushi. After months of buying supermarket sushi, she realised she could save time and money if she made it herself so she splashed out on a super cool sushi making kit in the UK. 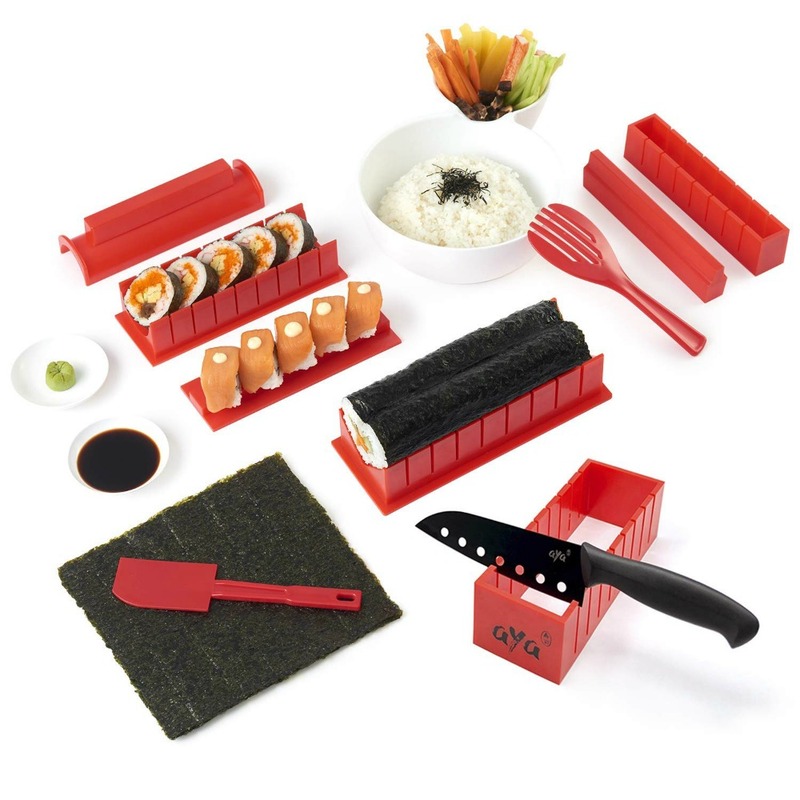 She loved that sushi kit so much and it added so much value to her life, she bought me one too. Without even opening the box, we put making sushi in our too hard basket and I’m sad to say our sushi kit lay forgotten in the pantry for many, many months. Then we remembered that making sushi was on my list of 101 Things to Do in 1001 Days and remembered the gift that we were given. Without further ado, we unpacked the kit which was nothing like we had imagined. 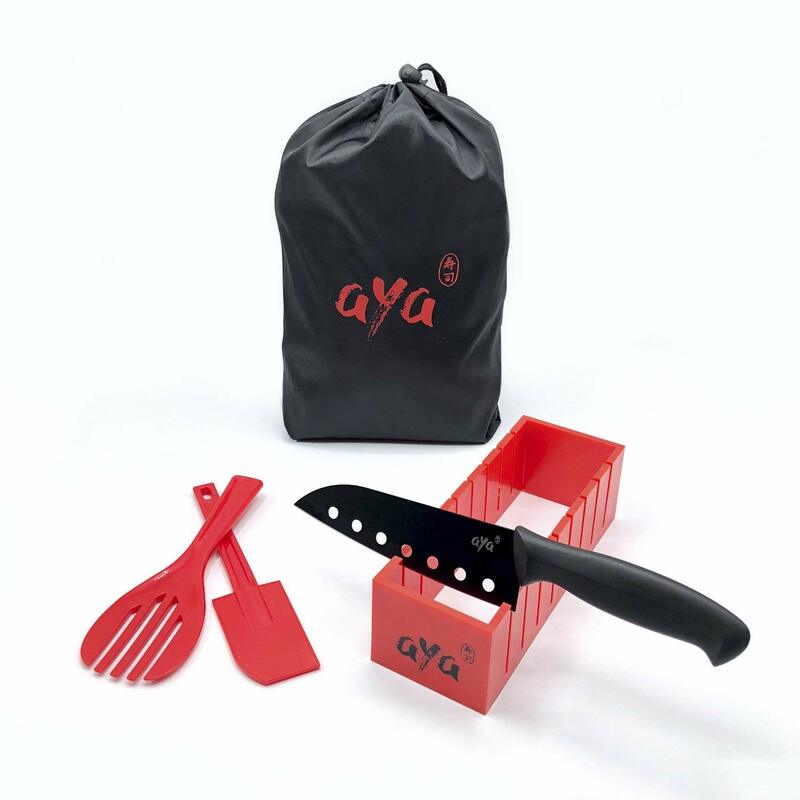 We thought that it was going to involve bamboo mats, rolling and all kinds of fiddly stuff but with the Aya Sushi Make Deluxe it was easy as. 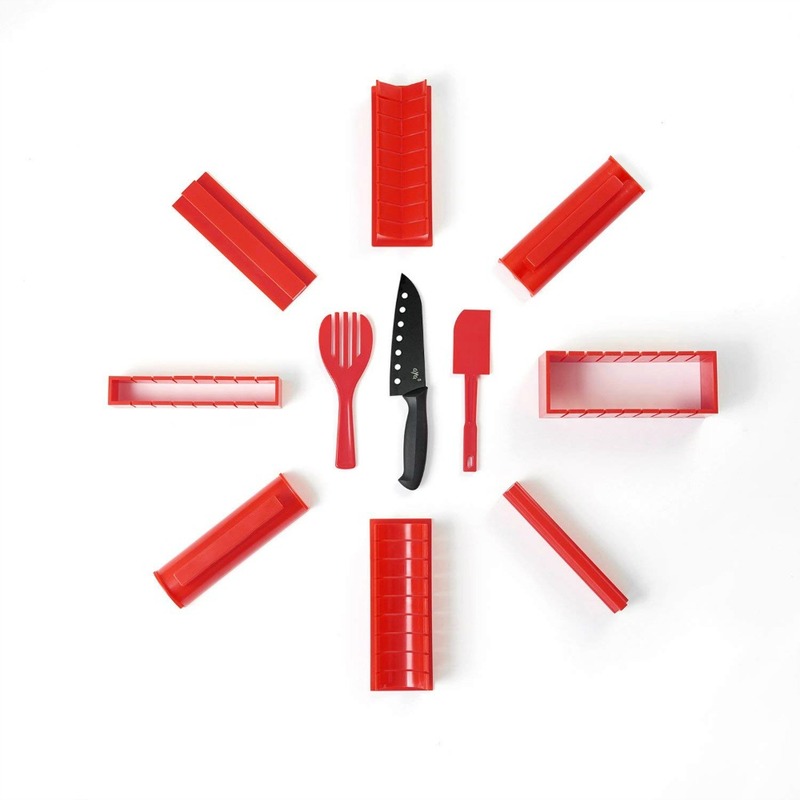 The 11 piece set comes with everything you need to make perfect sushi every single time (there’s even a sushi chef knife!) You can create all different shapes and sizes, although personally, I heart the heart shaped sushi hard! 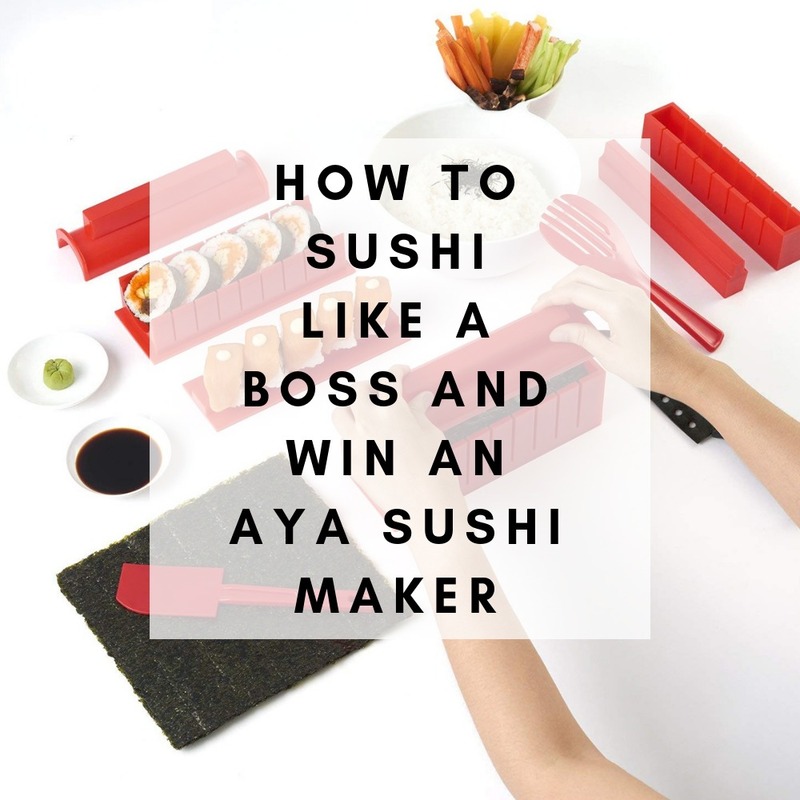 I’m a visual learner so I really appreciated the online video tutorials which give heaps of tips and tricks and a step by step guide to making amazing sushi. Before long we were rolling like a pair of sushi ninjas! 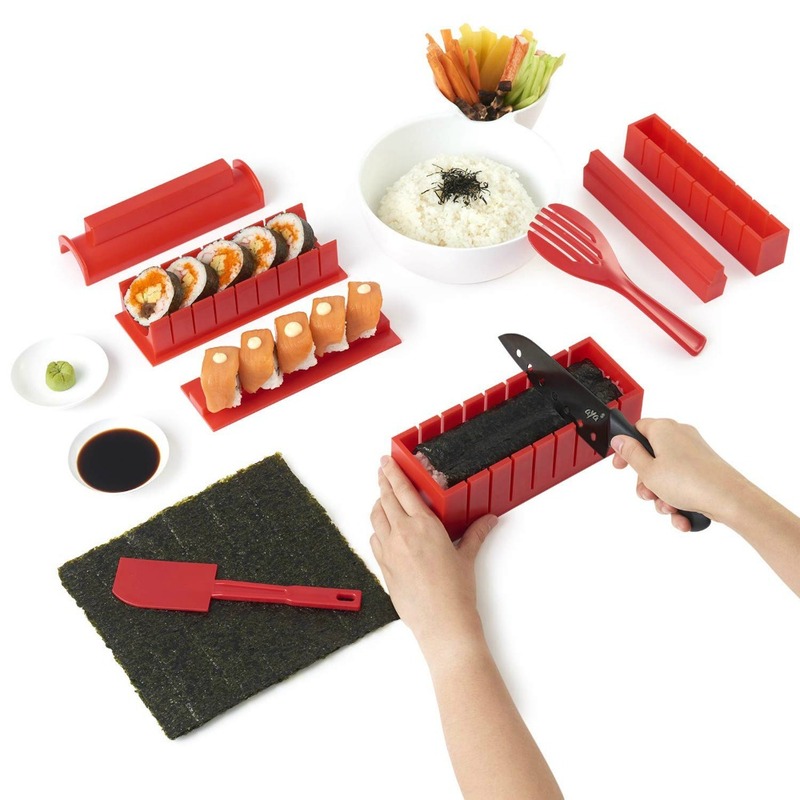 Honestly though, this kit is so easy to use, even the kids can be full on sushi chefs! 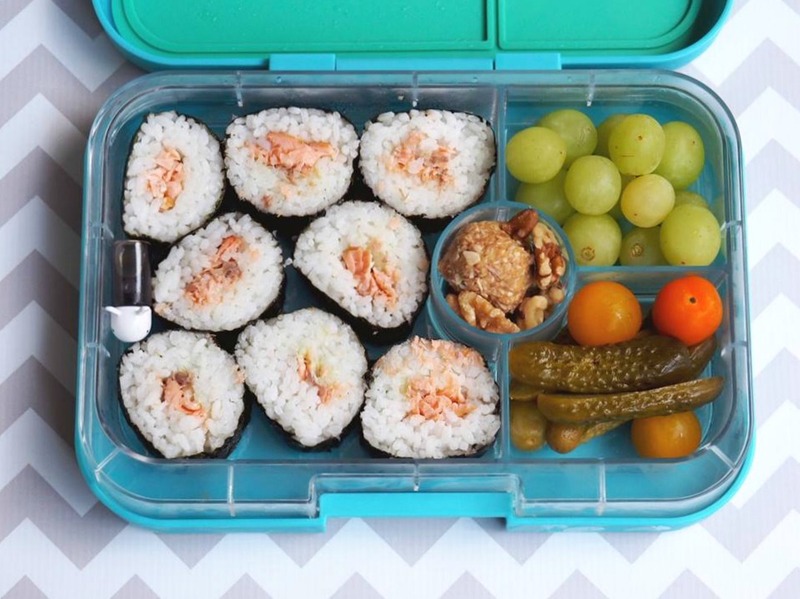 Sushi is one of our lunchbox favourites… Have you checked out my other easy, healthy and delicious ideas for grown ups? I must say we’re not very adventurous when it comes to our sushi rolls, tuna mayo is our go-to combo but if we want to live especially dangerously, we might add a slice of cucumber too but really, the flavour combinations are endless! The good news is that Aya Sushi Maker Deluxe is now available over at Amazon Australia and it’s a bargain at $29.99! 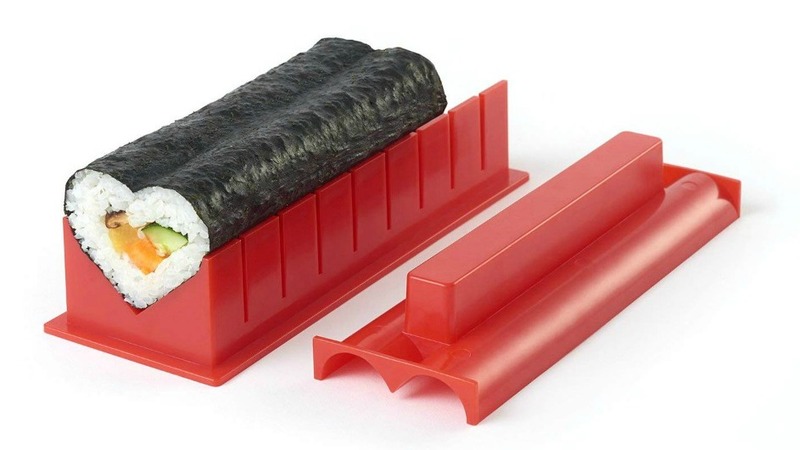 Best of all, the kind people at Krom have given me two Sushi Maker Deluxe sets to give away! To be in with a chance of winning one of the sushi sets, all you need to do is leave a comment telling me what’s the best gift you’ve ever received? I did not receive any financial compensation for writing this post, I’m just a massive fan girl! However, some of the links in this post are affiliate links. If you click to buy the item, I make a little commission but you don’t pay any extra. The giveaway has now closed. Thank you so much to everyone who entered. Congratulations to Bronnie and Leanne who both scored an Aya Sushi Maker Deluxe Set. 2. This is is a game of skill. Chance plays no part in determining the winner. Each entry will be individually judged, based upon individual creative merit. 3. To be eligible you must leave a comment sharing the best gift you’ve ever received. 5. The giveaway is open to Australian residents only (sorry!) and is not transferable. 6. The giveaway opens Tuesday 11 September 2018 and closes midnight Tuesday 25 September 2018. 7. The winner will be announced on the blog and notified via email on Thursday 27 September 2018.